Twenty-five years ago, Metallica played "One" at their very first Grammy Awards. But despite an impassioned performance, they lost the Best Hard Rock/Metal Performance trophy to a band whose frontman played a classical music instrument, flute-mongers Jethro Tull. 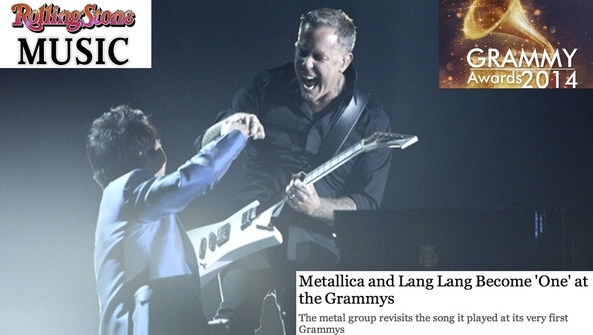 At tonight's Grammys, they embraced metal's classicism on that very same song in a unique collaboration with classical pianist Lang Lang. READ THE FULL RollingStone ARTICLE.